Contact Pamela Hamilton to invite author Bill Dedman to speak to your group. For book club meetings, reach out directly to Bill Dedman. Send an email to Matthew Snyder at CAA, Michael Carlisle at Inkwell Management, and author Bill Dedman. Send an email to Bill Dedman. Follow Bill Dedman on Facebook. Follow Bill Dedman on Twitter. Buy books. See a list of booksellers. Include your name and mailing address. Yes, books sometimes arrive with no indication who sent them. Include a note with names if you want the books inscribed to a particular person. Send the books to Bill Dedman, 1771 Post Road East, #125, Westport, CT 06880. Include cash or a check to Bill Dedman for U.S. Postal Service media mail: The hardcover books are 2 pounds each, so the rates to ship them are $3.17 for one book, $4.13 for two books, $5.09 for three books, $6.03 for four books, and $6.95 for five books. Explore the world of the reclusive heiress Huguette Clark and her family, from the No. 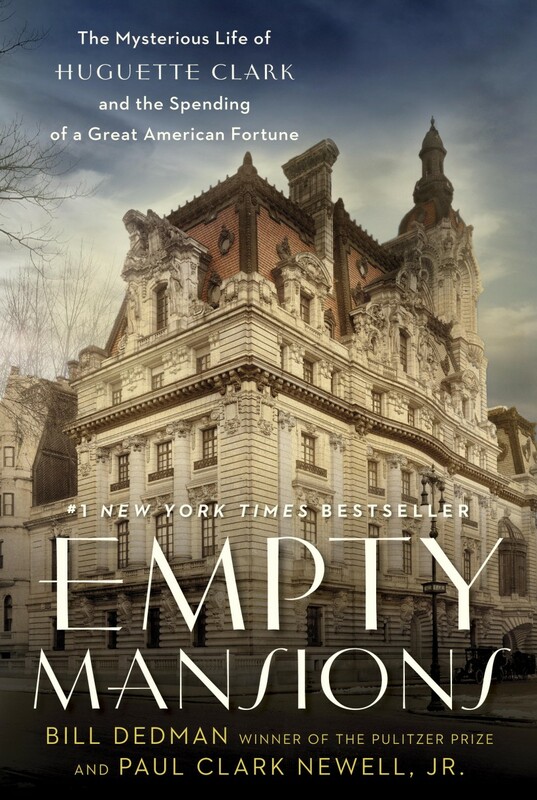 1 bestselling book "Empty Mansions: The Mysterious Life of Huguette Clark and the Spending of a Great American Fortune." © 2014 Bill Dedman. All rights reserved. Photos courtesy of respective owners as credited.